The University of Rome “Tor Vergata” has been founded in 1982, and has quickly become one of the major Italian Universities. The University is currently formed by more than 1400 teachers and 41.000 students, and consists of 6 Faculties (Economics, Law, Engineering, Arts, Medicine, MFN Sciences), 27 departments and 30 Interdepartmental research centers. The courses are divided in 113 degree programs, 138 masters and courses, and 54 schools of specialization. The Faculty of Engineering consists of 156 Professors and 87 Researchers, and more than 5.600 students attending 14 courses degrees and 26 PhDs and masters. The University involvement in RadioLabs is give by the contribution of the Department of Electronic Engineering. With roughly 100 collaborators, including structured research staff, external collaborators, PhD students, technical and administrative staff, the Electronic Engineering Department represents the primary area to promote education, research and the activity of technology transfer to businesses. Its mission consists in determining a steady progression of scientific and technological knowledge science in the fields of electronics and telecommunications. 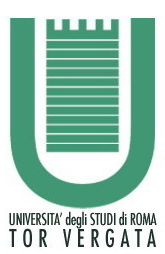 The University of Rome “Tor Vergata” is Partner of Radiolabs since 2001 as charter member. The University of L’Aquila dates back to the XV century, and currently comprises 25.000 students and 45 different first degree courses, ranging from Arts to Physics and Engineering, and 22 advanced degrees in all the fields of modern advanced studies. In a recent independent study, it was ranked among the best Italian Universities for its ability to attract private funds, and, as far as the students in the field of physics is concerned, three of the six ERC Starting Grants awarded by Italy in 2007 were assigned to former PhD students of L’Aquila. Research is coordinated by 19 different departments, two National Centers of Excellence established by the Italian Ministry for Research (the DEmbedded Controllers, Wireless Interconnect and Systems-on-chip (DEWS) Center of Excellence, and the Center of Excellence for Remote Sensing Techniques and Numerical Modeling for the Forecast of Severe Weather Events (Tecniche di TElerilevamento e Modellistica Numerica per la Previsione di Eventi Meteo Severi: CETEMPS)) and three Centers of Medical Research. Due to the geographical location in the center of the Italian peninsula, the scientific research is developed cooperatively with universities such as those established in Rome, Florence, Naples, Bologna, Padua and Milan. It hosts a large community of scientists, ranging from particle physicists (Gran Sasso National Laboratory, underground facility for the study of passive particles of the National Institute of Nuclear Physics) to physicists of condensed matter, a part of which has given rise to a National Laboratory within the National Research Council (Consiglio Nazionale delle Ricerche: CNR). In optics and photonics, the University has a long tradition shared by the Department of Electrical Engineering and Information (DIEI) and the Department of Physics, recently fortified by a Center for Electronic Microscopy. The DIEI (Dipartimento di Ingegneria Elettrica e dell’Informazione) hosts the research in Electrical Engineering and Computer Science of the Faculty of Engineering. Research is promoted in a multidisciplinary environment through workshops, laboratories, scholarships for post-doctoral studies, financial support for technical training and scientific dissemination. The University also holds a PhD program, and the degree and post-degree students represent integral part of research initiatives. The DIEI is supported in part by funds from the University, and partly through national and international collaborations, research projects, and programs for industrial R&D. It has 50 permanent research members and 20 temporary employees, and it is one of the largest departments of the University of L’Aquila. It possesses an excellent experience in basic research. Its scientific production covers a wide range of key sectors with a strong multidisciplinary vocation, with activities ranging from traditional controls, telecommunications and informatics, to pioneering initiatives in economics, mathematics, physics, biology, electrical technology, electronics and automation. The University of L’Aquila is Partner of RadioLabs since 2005. The University of Rome “Roma Tre” has been founded in 1992, and it is the “youngest” university of Rome, currently counting forty thousand students. It comprises 8 faculties and 29 departments that offer a total of 30 first degree courses, 45 advaced degree courses, 66 Masters, 9 improvers course, 16 Doctorates, 5 PhD schools and 2 schools of specialization. In the University “Roma Tre” it has been introduced a service quality control, as well a service of monitoring and managing education, which ensures efficiency and promotes the motivation of those who work and study in the Uinversity. “Roma Tre” is a vital lever of urban development of the capital, and an active center of cultural production with an international dimension; it devotes energy and resources in designing and organizing conferences and seminars, which represents occasions for reflections and for meetings with leading personalities in the field of culture, research, social and political context. The Scientific Research, along with the training, holds a fundamental function of the University, and represents the necessary premise for teaching. It is the engine of critical knowledge, creativity, innovation, competitiveness and quality in teaching activities. “Roma Tre” promotes research activities by supporting the departments with actions aimed at the development of basic research and laboratories, the promotion of international knowledge sharing, the recruitment of young people to consolidate with co-financing researchers recruitment, the strengthening of research allowances, PhD Schools international relations. Autonomy’s planning and management of departments is a prerequisite for the effectiveness of these activities. The Departments, constituted on a disciplinary basis, receive an annual contribution from the University which covers the funding for scientific research, research allowances, and for all the other initiatives linked to research, and autonomously plan, manage, and finance researches, by defining their own development and choosing how to select the research activities to be funded. The approach based on the worthness of the performed research is emerging as an important complementary element in the autonomous planning. The University has promoted a project for an integrated Research Registry office, with the aim of providing an informatic tool for documenting and monitoring the research activities, and for transferring the results of “Roma Tre”. The University’s interest in technology transfer and in the creation of new businesses, in particular spin-off, is rapidly increasing as part of the actions aimed at expanding and strengthening the interactions with the already existing production system. “Roma Tre” supports their departments and research groups in the promotion, participation and management of projects in public-private partnership, aimed at establishing the conditions and the government value chain, starting from the creation of know-how till its practical use, in order to promote competitiveness and innovation based on knowledge. The target areas are representative of the regional context, and regard areas traditionally linked to innovation, such as ICT, audiovisual-multimedia, aerospace, microelectronics, biotechnology, environment and territory, but also cultural heritage and public administration. The University of Rome “Roma Tre” is Partner of Radiolabs since 2006. With more than 160 years of history, Hitachi Rail STS is a company at the forefront of signalling technologies, safety systems and freight solutions. Hitachi Rail STS is the highest-performing firm in the railway business, with an annual turnover of approximately €1.4bn. We are able to remain at the forefront of our industry because we build solid partnerships and, most of all, develop bespoke transit solutions. We move people and goods around the world, and we do it safely, quickly and with respect for the environment. However, our company is much more than that, is widely considered to be a global leader across a variety of fields within the rail transport industry. We specialise in all aspects of construction, railroad engineering and management, and characterize ourselves as being turnkey railway constructors, as well as automation and signalling experts introducing satellite technologies on the roadmap for delivering new cost efficient train control systems. In 2017, Hitachi Rail STS completed the implementation of 14 driverless metro projects across the US, Peru, Denmark and Saudi Arabia, among others. We also built a freight line with new satellite capabilities on an iron ore mine in Australia. The Roy Hill freight line will transport 55 million tonnes of iron ore, from mine to port, along a 350km railway every year. With Rio Tinto, Hitachi Rail STS has developed the AutoHaul project, the world’s first driverless trains that is operating on more than 1,700 km of railways linking 16 mines to four port terminals and using an innovative multi-bearer telecom solution with satcom technologies. Having leveraged our experience in Australia and working in partnership with the EU and RFI, is developing and implementing a system that can effectively control pick-up and delivery train routes using innovative satellite technology, known as ERSAT that has been successfully tested in Sardinia. Partner of Radiolabs since 2012. 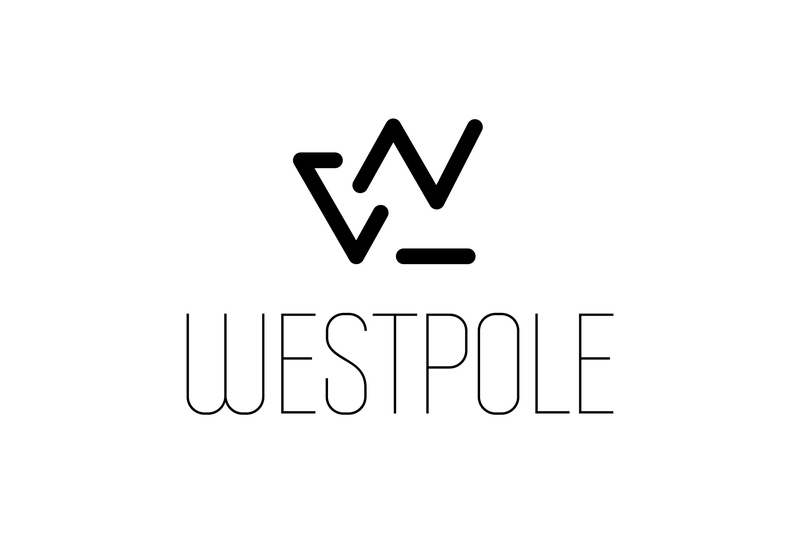 WESTPOLE represents a new point of reference in the IT market for the pioneering companies which are ready to challenge new technological & digital projects, to embrace innovation and to elevate their businesses. A System Integrator, a Service Provider and, today more than ever, a Skills Integrator. The strength of the company is the sum up of Solutions, People and Competences. In the offices of Rome, Milan, Venice and Bologna, over 250 people with more than 1,200 certifications, wake up every day with the aim of supporting customers in their strategic challenges: cloud transformation, infrastructure, applications, security solutions and the most modern Internet of Things projects, enriched by design capabilities and technology management services. As strategic partner for innovation projects, WESTPOLE accompanies medium and large companies, public and private, in the path of Digital Transformation, through the implementation of innovative solutions and services, managed from an end-to-end consulting perspective. WESTPOLE does this with a pioneering spirit, passion and empathy, totally excited to undertake a different landmark. Partner of Radiolabs since 2014.